During my travel to Cebu, my first time ever, I made sure I could be of help to other vacationists to the Queen City of The South especially those backpackers and first timers who don't have any idea on how to get to some of the popular attractions within Metro Cebu. I gathered commuting information such as signs of jeepneys headed to these spots as well as where to ride a particular jeepney going to a specific tourist spot. I've also drawn up walking directions one needs to take to some attractions from the location of cheap hotels in Cebu that I also recommend because of their proximity to downtown Cebu's main thoroughfare where most of the public jeepneys pass through. So don't forget to read last section of this post about Cebu hotels or check out hotels in Cebu. Here are some of popular tourist destinations in Cebu that I've given commute and walk directions in this post, the third of our series of Cebu. You might like to read the first and second chapters. Here are the links: First post, go to Good Eats And Good Rides From Manila To Cebu. Second post, go to Cebu: Taking Taxi From Mactan Airport To Colon. Hope this guide make your travel to Cebu more fun. 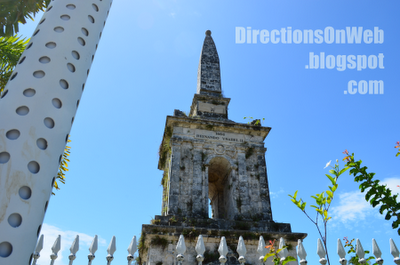 If you are a first timer in Cebu and as such, travelling in budget, the first spot you should be heading to as soon as you landed in Mactan Cebu International Airport is the historic Colon Street, the first and oldest national road of our country. Although a little bit run-down now, it's still the home of old and popular shopping malls, restaurants, old movie houses, public markets, cheap street foods at night, fashion shops, and most of all affordable hotels. Gaisano malls, Cebu's synonymous to shopping are located here. Third tip from me: There's a big food court serving a lot of cheap foods at the 6th floor of Metro Gaisano located at the corner of Colon and Osmena Blvd. Read my valuable first and second tips on my post entitled Cebu: Taking Taxi From Mactan Airport To Colon. Speaking of food, go check out popular Cebuano dishes, just go to What & Where To Eat In Cebu City. How To Get To Colon From Mactan Cebu International Airport? By Taxi - Just tell the taxi driver to take you to Jollibee in Colon corner Osmena Blvd, the main intersection at the middle of Colon where jeepneys headed to major destinations and districts of Cebu City pass through. If you're taking taxi from airport to Colon, I highly recommend reading my post Cebu: Taking Taxi From Mactan Airport To Colon for valuable information that you should know. By Jeepney - Walk or take a taxi approximately 1.3 km to Mactan Marina Mall located at the right corner of Airport Rd and Quezon National Highway. If you prefer to walk up to Marina Mall, which is safe, just follow the direction of all taxis leaving the airport. There's SM Hypermart inside Marina Mall just in case you need some refreshment. From inside Mactan Marina Mall, walk across Quezon Hi-way to get to the Jeepney Terminal. Ride a green-colored jeepney with "MEPSA Lapu Lapu City Cebu City Vice Versa" wordings on its both sides. The jeep is located at the rear end of the jeepney queue. Alight at SM City Cebu, go to the Jeepney Terminal at the frontage of the mall and ride a jeepney with "Private Colon SM" sign. After taking different roads, the jeep will finally take Sanciangko Street which is paralleled to Colon. If you're sitting at the left side of the jeepney, you should already see the Heritage of Cebu Monument right before the jeep turn right onto Sanciangko St. Alight at the corner of Osmena Blvd. 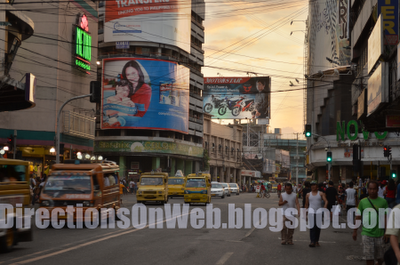 Landmarks here are: Sogo Hotel, located to the left of Sanciangko before Osmena and G.V. Tower Hotel, the tall building located at the second left corner of Osmena. Towards the end of this post is a map that shows the locations of affordable hotels in Colon vicinity. I suggest you read the directions to destinations first before looking at the hotels so that you get to choose the right place to stay. Reading the directions first will familiarize you with getting around the city thereby triangulates the location of a hotel you're comfortable with. The following five tourist spots are best toured in one trip because they are situated near to each other although you still need to walk a bit far out. Fourth tip from me: Best time to see these four major attractions is during mornings or afternoon. Avoid noon time if you don't want to be scorched by the sun. There's a museum that's closed on weekend, so if you want to see the inside of the museum, pick any day from Monday to Friday. By Jeepney - Along Osmena Blvd between Colon and Sanciangko but along the sidewalk of GV Tower Hotel side, ride a jeep with "Jones LAO Colon" sign. 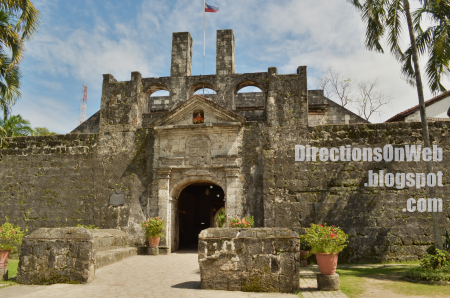 Tell the driver that you are going to Fort San Pedro and to please drop you off at it's location. In my case, I approached the driver and ask him if he would pass by Fort San Pedro and when he said he would I told him to drop me off right there. The jeep will loop its way back to Osmena. Always remind the driver to drop you off at your destination. You will be alighted at Plaza Independencia. 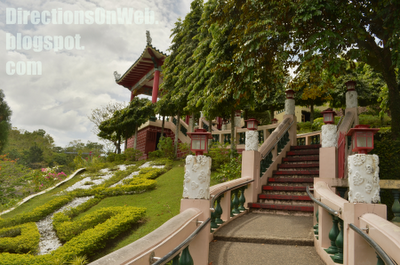 Get inside the park and afterwards head towards Fort San Pedro which is just across the park. 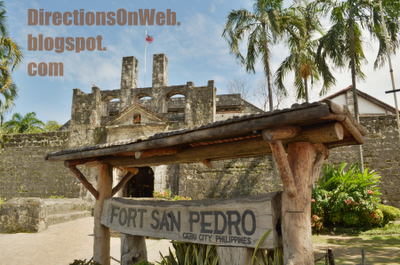 A museum is also located inside Fort San Pedro. Walk your way to the location of Basilica Minore del Santo Nino via Osmena Blvd, the street with red arrow in the map below. Refer to the map. Click red pins to reveal information. To get back to Colon, ride a jeepney with "Colon" word on its both sides at Legaspi St outside Cebu Cathedral. The jeep will turn left on V. Gullas Street from Legaspi. Alight at the corner of Osmena and walk toward Colon. Tip: You're using mobile. Please tap your thumb in each of the red pins and it will reveal the name of that attractions. Drag the map by tapping your two fingers and move the map. You can zoom by 'pinch-in' and 'pinch-out' gestures. By Walking - From Sanciangko cor Osmena where GV Tower Hotel is located, walk towards Metro Gaisano Shopping Mall that you can see from afar. 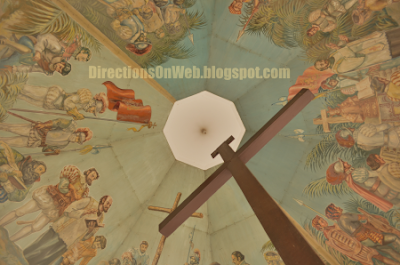 Cross Colon and continue walking past Jollibee (next to Gaisano along Osmena), cross five more intersections until you reach the gate of Basilica Minore del Santo Nino, to your right. See Map below. Use the walkway inside the compound of the basilica to get to Magellan's Cross. 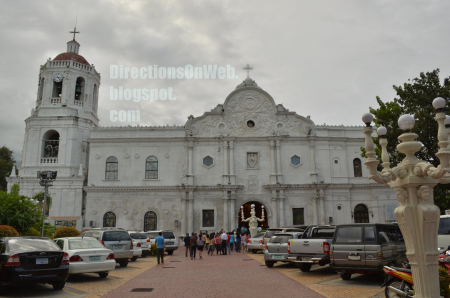 To get to Cebu Cathedral, take Zamora St, the road opposite gate of the basilica. 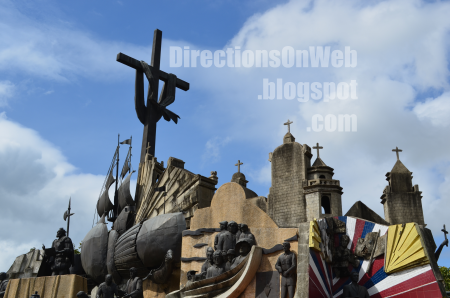 Plaza Independencia and Fort San Pedro are situated at the end of Osmena Blvd. You can get there after seeing Magellan's Cross, Basilica Minore and Cebu Cathedral. You can easily return to Colon, just take the same route via Osmena Blvd. 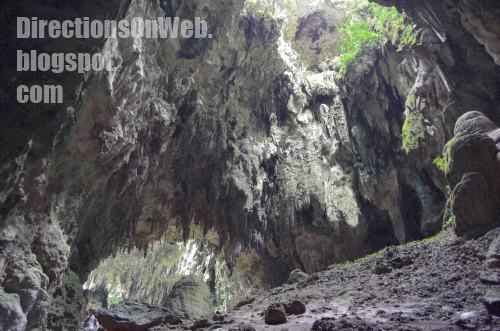 Now, for those of you who like extreme adventures, this particular destination is a must-to-see in Cebu City. You are riding an edge coaster that not only goes around the edge of 38th floor of the tallest hotel in the Philippines but it also tilts up to 55 degrees literally holding you from falling 130.84 meters below. Now that's fun. The Edge Coaster is basically the main attraction of Sky Experience Adventure at Crown Regency. But there are quite a lot more this destination has to offer. How To Get To Crown Regency From Colon? By Jeepney - Ride a jeepney with any sign at the loading area along Osmena Blvd between Colon St and Sanciangko St. Just remember, you're going to the opposite direction of Fort San Pedro and all other spots near it. 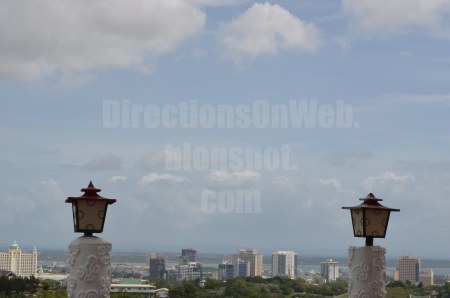 Fort San Pedro is to the south, Crown Regency is to the north. So, this time, you will be riding jeep at the northbound lane of Osmena Blvd. Most jeepneys stop just outside McDonald's located at the corner of Colon and Osmena. Pay minimum. Crown Regency is 40-storey. It's situated to the right of Osmena Blvd just before Fuente Osmena Circle. Just get inside the building and inquire at the front desk. The Sky Adventure opens 2 pm. By Walking - From Colon cor Osmena, Crown Regency is approximately 1.3 km. It's much better to walk your way to the the hotel especially there are times that Osmena Blvd is a bit heavy in traffic. It's relatively safe to walk along this boulevard during day time. A lot of big institutions such as Bangko Sentral ng Pilipinas, Cebu Normal University, Camp Sergio Osmena, boutiques, banks, etc. From the corner of Sanciangko and Osmena Blvd just outside GV Tower Hotel, you can easily see the tall building of Crown Regency. By the way GV Tower is also a tall building, you can use it as your guide in the vicinity of Colon. Fuente Osmena Circle is a big roundabout in uptown Cebu where a lot of commercial establishments, new restaurants, casinos and bars are situated. In my observation, it's here that lots of tourists converge after getting around the city. It's the opposite of Colon in terms of rehabilitation. There are upscale office buildings and the entire area is clean. Robinson's Mall Cebu and Cybergate are situated opposite each other. Meanwhile, cultural presentations and social events are held in the park inside the roundabout. Fuente Osmena Circle is a stone's throw away from Crown Regency and a focal landmark of Cebu City. 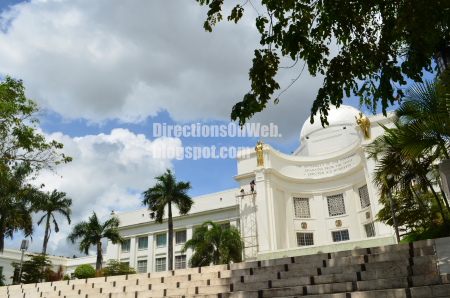 Cebu Capitol Building is both a pre-war vintage and a replica of the official residence of the President of United States which is the White House. It is located at the north end of Osmena Blvd. You can get there from Fuente Circle or Crown Regency by riding a jeepney with signs in the front like "Ayala Center", "Guadalupe", "Gorordo", etc. See map below to have a bird's eye view of how the Capitol Bldg, Fuente Circle, Crown Regency and Colon Street are situated along the stretch of Osmena Blvd. Click the red pins to reveal information. In the map, all four destinations lined up along Osmena Blvd. Top your two fingers in the map and move downward to see the first. Tap the red pins to get names of each spot. In the map, all four destinations lined up along Osmena Blvd. Move the map downward to see the first red pin. Tap all red pins to get names of each of the spots. Taoist Temple is located up in the mountain of posh Beverly Hills in Cebu City. Going there is relatively safe. Here's the direction: In front of Bangko Sentral ng Pilipinas along Osmena Blvd, wait for a jeepney with "Lahug" word on its signs on both sides. The jeepney has a body number which is 17C. please remember it. My fifth tip: In Cebu, jeepney routes are identified in numbers. Whenever you ask for a certain signage of jeepney that you must ride for a certain destination, most locals answer by giving you 3 digit alphanumeric such as 01C, 12G, 24A, 10M, 06H, etc. Please watch for my upcoming post that will give you the routes and destination of jeepneys in relation to their numbers. 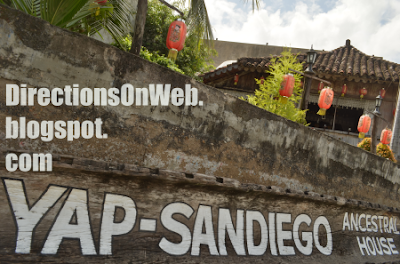 It would come in handy when you're in the streets of Cebu and headed to an unfamiliar district, building or barangay. Also, the looks of Cebu jeepneys are very different with the jeepneys in Metro Manila. Cebu has its own version of Philippines' king of the roads. Watch for my upcoming post with photos of Cebuano's jeepney. Now, back to topic. Even though Taoist Temple is a bit far, you don't need to seek the driver's assistance. Sometimes, they're so busy that they unintentionally forget to drop off passengers to their destination although passengers requested for it. All you need to do is to watch for this big landmark building to appear to your right. When you see this building, get off the jeepney after it passed by the building. 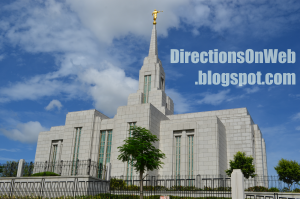 This is, by the way, The Church of Jesus Christ of Latter-Day Saints Cebu Temple. Walk towards the street perpendicular to the left of the road where you alighted which is Gorordo Ave. Ride a habal-habal and say to driver that you're going to Taoist Temple. There are plenty of them and most of the time, the drivers are the ones who offer the ride. I paid 25 pesos when I got there. The habal-habal will take you to the gate of Beverly Hills. Alight there and enter the gate where a guard house stands in the middle. 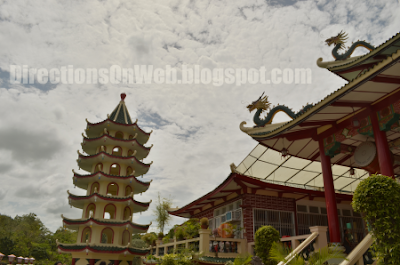 Ask the guard permission, tell them you're going to Taoist Temple. They are so nice and accommodating. You can easily make out the Temple as soon as you're about 20 meters past the gate. It's to your left. There's an intersection up ahead. Make left. Continue walking along the smoothly cemented road that slopes down a bit before it goes uphill until you get there. There's no entrance fee. See the map below to have a bird's eye view of where to alight from the jeep and where to ride habal-habal. As you can see in this map, there are scores of habal-habal at the intersection of Gorordo Ave and Sudlon St. The red arrow is the direction habal habal takes to get to Taoist Temple. The red pin here is The Church of Jesus Christ of Latter-Day Saints. By Jeepney - You can get here by riding a jeepney with 01K number on its body. The wordings on both sides of the jeep should be "Urgello Colon SM North Terminal". Wait for this jeepney along Colon Street. The jeep will turn left at the east end of Colon. Heritage Monument is immediately to the left before the jeep turn right onto the next street. By now, you know that Colon Street runs from west to east. Osmena Blvd intersects it from north to south. By Walking - Heritage of Cebu Monument is only about 700 meters from the corner of Osmena Blvd and Colon Street. Walk towards east or the lane in front of Metro Gaisano. Turn left at the end of Colon. There you'll see the mammoth Heritage Monument. 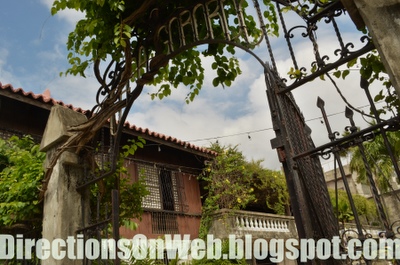 Yap-Sandiego Ancestral House is to the right of Mabini Street, the road where you would alight from the jeep. Just walk past Heritage Monument until you see the ancestral house to your right. It is exactly located at the corner of Mabini St and Lopez Jaena St.
Casa Gorordo is situated along Lopez Jaena St, just walk from the corner of Mabini where Yap-Sandiego Ancestral House is situated. Walk further past Ramon Aboitiz Bldg which is to the right of Lopez Jaena until you see Casa Gorordo which is located to the left of the street at the corner of the street perpendicular to the left. See map below. Note: You're using mobile. If you only see 2 red pins in the map, tap your two fingers in the map and drag the map toward bottom, the other pin will be seen. Click each pin to reveal their names. As you can see in this map, all you need to do is walk along Colon and then go left when you get to its east end. Heritage Monument is already there and the other two spots are also walking distance from the monument. 01K jeepneys turn left at the end of Colon and then turn right onto Zulueta Street. Located in Mactan Island past Mactan Cebu International Airport, here's how to get to Mactan Shrine from Colon. Ride a jeep with 01K on its body or these wordings: "Urgello Colon SM North Terminal". Aside from this jeepney, there are other routes bound for SM City Cebu. You can also take any of them. 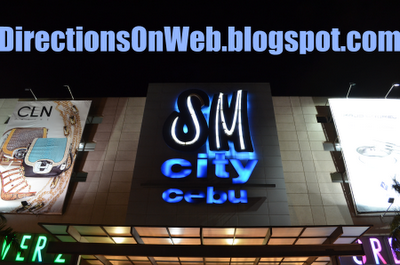 Get inside SM City Cebu and get outside via another entrance located at the back of the mall. Walk across Kaohsiung St and walk along M. Logarta Ave until you get to the corner of M. Logarta and F. Cabahug Street. Wait for a jeep with "MEPSA Lapu Lapu City Cebu City Vice Versa" signage on its both sides. See map below. As you can see in this map, the jeepney you are going to ride comes from M. Logarta Ave. This is the road it takes from Mactan Island. The jeepney will unload passengers at this corner. Wait for one to arrive as this is not a terminal. You might wait long, just be patient. The jeep will take Sergio Osmena Blvd on the way back to Mactan Island. Read the continuation of this direction below the map. The terminal of "MEPSA Lapu Lapu City Cebu City Vice Versa" jeepney in Mactan Island is located at Mactan Marina Mall which is situated at the corner of Quezon National Highway and Airport Road. Once you get to Mactan Marina Mall, ride another jeep in front of the mall. The sign or wordings on both sides of the jeepney should be "Punta Engano". Just ask the driver to drop you off at Mactan Shrine. In going back to Colon, first ride "Punta Engano" jeep in front of Mactan Shrine. Alight at Mactan Marina Mall. Now here's another tip which is actually a warning: Do not by all means go to Mactan Shrine at night, it's very unsafe, according to the locals. Ride a jeepney with the same signage as the one you took from SM City Cebu which is "MEPZA Lapu Lapu City Cebu City Vice Versa". The jeep is located at the rear end of the jeepney queue. Alight at SM City Cebu, go to the Jeepney Terminal at the frontage of the mall and ride a jeepney with "Urgello Colon SM North Terminal". You can also take jeep with "Private Colon SM" sign. It's located at the first slot of the terminal. It takes Sanciangko Street, the road paralleled to Colon. Seventh tip: If your flight back to Manila is scheduled in the afternoon and your check-out time in your hotel is 12 noon, you might consider going to Mactan Shrine hours before your flight. You know, traffic along the way back to Cebu City after Fernan Bridge is not favorable. For those who carry heavy luggage, there's Luggage Depository at Mactan Cebu International Airport. You can leave your luggage there for a fee, complete your tour of Cebu by going to Mactan Shrine and then get back to the airport afterwards. Just remember, you must be at the airport 2 hours before your flight. Here's the amount of cost of depositing luggage in Depository: 1 to 2 hours - Php 75, 2 to 4 hours - Php 150, 4 to 10 hours - Php 250, 10 to 24 hours - Php 350. Price is good for only 1 luggage. Below is the map of Cebu with Mactan Cebu International Airport and Mactan Shrine. As you can see in this map, Mactan Shrine is near Mactan Cebu Int'l Airport. It just makes sense to visit Lapu-Lapu Monument and Magellan's Monument hours before your flight back to Manila. Going to both Ayala Center and SM City Cebu is a breeze from either Osmena Blvd or Colon Street. 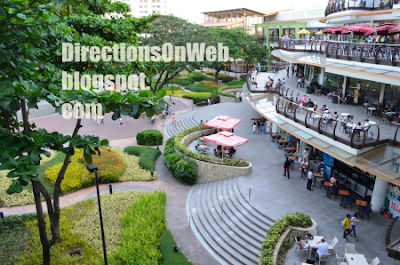 There are lots of jeepney routes that go to these malls. In Colon, eastbound lane, wait for jeepney with "SM City" words on its signs. In Osmena Blvd, northbound lane, ride a jeepney with "Ayala Center" or "SM City" words on its both sides or its sign in the front. In the map below are some of the affordable hotels around Colon Street and Osmena Blvd junction. Choosing a place to stay in this area gives you an edge on managing your time and budgeting your expenses. Expensive hotels are located in uptown Cebu particularly near Fuente Osmena Circle and Ayala Center and there's one adjacent to SM City Cebu. The ones I tackle here are for those travelling on budget. Click the red pins to get the name of each hotel. In my upcoming post, I will share to you what I did to ensure my wifi connectivity during my stay in Cebu and what is the right thing to do when a wifi connection in your hotel breaks down, or does it? Discover the real score when you can't connect to wifi inside your hotel room. 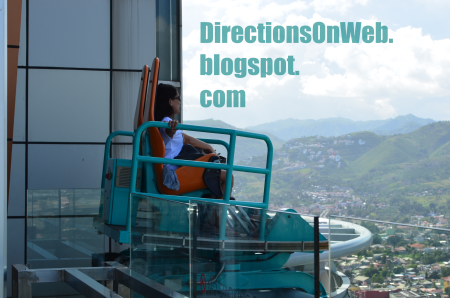 Be updated on directions, routes and guides to important destinations. Learn Tips From My Experience. Very informational indeed! I heard there's a place in Cebu City where the famous Cebu Lechon are offered for dine or take out customers. It's the "La Loma" area of Cebu City. Did you happen to go there? I think that's the area I had discovered while wandering around, it's near what they called Jai-Alai in Cebu City. And yes sir Amado, their lechon is really great. I will make a separate post about the food I got to taste while in Cebu, sir. Thanks! That's the first food I've got to try in Cebu. @ Amado, you are welcome sir. Thanks for always visiting my blog. @ PinayWanderer, nice to hear those nice words from a fellow blogger and follower like you. Thank you very much. I got to open your blog too and I find it interesting as well. While travel bloggers mostly share their travel stories, your blog provide essential tips for backpackers... Ikaw na talaga... Astig talaga niche mo kuya Philip! Hope you'll have fun just like before and this post make it even more. You are welcome. Ohhh sureeeeee!!! Lagalag! Ikaw na! @ penfires, thanks for the visit. Cebuana ka pala. Ganda ng city nyo. Sana Cebu ang manalo sa bagong voting campaign ng New7Wonders na New Seven Wonders Cities Southeast Asia Category. Knina ko lang nakita sa news. Gusto ko Cebu City manalo dun, kc alam mo ba na sobrang nagandahan ako sa metropolis nyo. @ Edmaration, "Hindi Ed, Ikaw na!". Hahaha! Lakas ng recall ng linya ni Boy Abunda 'no? WOW! everything is here already! very informative! thanks for sharing! WOW! this is very informative! kudos for the job well done! This is very useful most esp. to first time visitors who wants to know where are the places of interests in the city. I also like that you made mention about Cebu's jeepney routes, its actually very unique. every jeepney route has its corresponding number code for easy reference bec. there are numerous jeeney routes plying in a given street so its best to memorize the number codes to avoid getting into the wrong direction. this is esp. very useful to those who are in Cebu looking for a job. @ tools4kools, thanks for appreciation. Based on what you just said, I think I really need to create a post for the list of jeepney routes in Cebu City of course with their corresponding numbers. Maybe a table graph will do. So that we could help both visitors and job seekers. 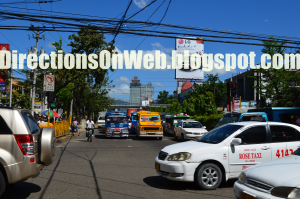 @lagalag: actually there's this site http://www.wayblima.com/cebu-jeepneys-routes.html that shows cebu's jeepney routes. if you want you can check it out for reference coz its actually very accurate. @ tools4kools, actually I had listed some of the jeepney routes and numbers but I know it's only a fraction. Thanks for this link, it's a big help. Anyways, I am willing to give credit and courtesy. Right now, the affordable hotels and food guides are the ones next in line on my upcoming posts. I'd enjoyed the food of Cebuano especially the lechon so I wanna talk about them, sort of sharing them to those who haven't visited Cebu yet. Wow!! this is very very extensive! Just found another link to check when I start making itineraries again..
You must be very dedicated! @lagalag: that's great! just take your time and we're definitely looking forward to your upcoming entries. Yes, Cebu's lechon is def. the most tasty lechon in the country. I heard Larsian is currently being renovated so most probably its not available at this point. @ Sendo, masarap ang pkiramdam kpag nbibisita ntin ang mga lugar na naging bahagi ng kung ano tyo ngyn at humubog sa ating kultura. Pagbalik ko dun e pupuntahan ko pa ang ibang di ko npuntahan the first time na bumisita ako. you are welcome. @ Francis Balgos, thanks for the nice words. Yes I am very dedicated on this blog. It's my first blog. And right now, no plans to create another one. It's my passion to give directions and help others get around places. @ tools4kools, too bad I've never been there actually. But I sure got to a similar place, a little row though. It happened when I decided to get lost in the city. "It's my first blog. And right now, no plans to create another one." You are welcome. Thanks also for following. I also visited your food blog and I like it. I also followed you on GFC. 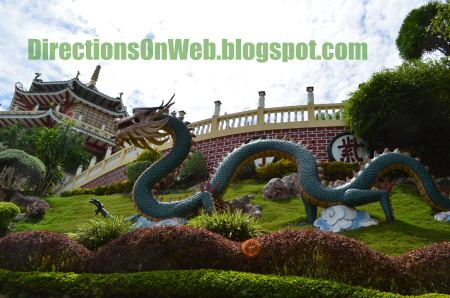 hi.. i've been looking for info about what places to visit in Cebu and one particular spot i'm interested in is the Taoist temple. You wrote that the Guards at the gate were "accommodating." Were they really? Because I've read this forum/article where most people have bad experiences from visiting the temple. I have 2nd thoughts of going to the place after reading it. @ Ania. If I had bad experience with them, I wouldn't spend my energy writing about them. I would have just given readers direction to the temple. Besides, it's a religious temple and not a demonic one. Okay, here's a tip. Speak in Tagalog because as a local told me, they like Tagalog speaking visitors. I have also observed that. How do we reach the "TOPS"? what ride and how much? @ Fud 4 Tots. Conveniently, you need to take taxi as Tops is 2000 feet above sea level. Taxis charge extra so you must have enough money. By jeep, you can take Lahug bound jeepney. But you need to walk uphill around 500 meters more after getting off the jeep. An excellent post with fantastic information.Loved it. It is in reality a nice and useful piece of info. I'm glad that you simply shared this helpful information with us. Please keep us informed like this. Thank you for sharing. 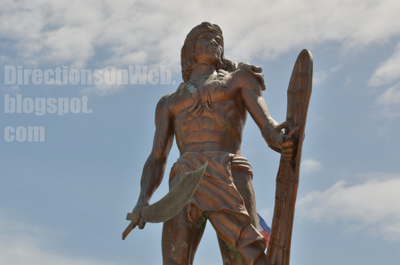 You can do it alright in 1 day except Lapu Lapu Monument given its location. Just start off as early as 6 or 7 am in Fort San Pedro. Spending only minutes in each spot and following itinerary given by yours truly in this blog entry, you will be definitely done by dusk. Hope you enjoy Cebu... Cause for me it is definitely awesome. This is great. 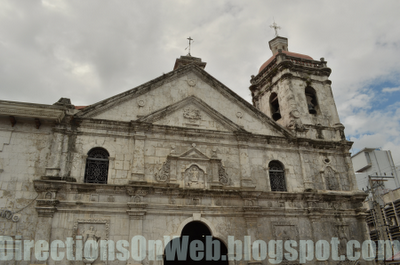 You really have a very detailed information to the tourist spot here in Cebu where it can easily go to. @ Natalie Tesorio. Thank you for appreciation. There are more to read and share here. You might like to browse our table of contents located at our homepage. Cheers. Such a long and helpful post. Keep it up! @ Rene Leandro Padilla. It is my pleasure to promote the queen city. I came to love it more than my own provincial city. The world best tourism spots are present in Pakistan which are hidden from peoples eyes i invite you to get flights for pakistan at very cheap rate you can find hotels and resorts at the spot. Cool! 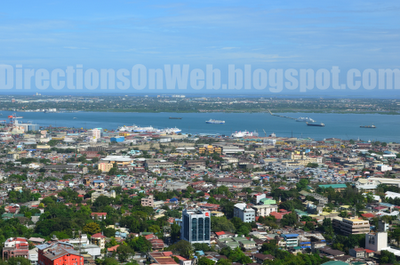 thanks for sharing your tips on how to commute to Cebu's tourist spot. This is a big help for travelers who want to go there. I will re-share your post. @ Autumn May Dale. No problem. Thank you as well for your good intent of sharing this post to others. Highly appreciated. Extremely informational without a doubt! I find travel agents and listened to there's a place in Cebu City where the prominent Cebu Lechon are presented for dine or take out prospects. It's the "La Loma" area of Cebu City. @ Jake miller. Thank you sir. I think you're referring to CnT Lechon. Yes, it's a very popular destination for lechon lovers in Cebu City. Informative! We're planning to go to cebu this May with my parents,.my dad is kinda old..and we're on a budget..my mom just want to go to Sto. Nino Shrine but surely we can visit some tourist spots near the Shrine! @ Mudra Lakwatsera. Hi, thanks for the visit and comment. Your family will definitely enjoy Cebu. Tip: Best time to visit Sto Nino Shrine and surrounding spots is morning or afternoon especially that you said your dad is an older man. @ arbhy rubi. You are very much welcome. Hope you and your office mates enjoy the trip to Cebu. Have fun! pupunta kami ng girlfriend ko sa cebu this coming 27th of June.salamat sa info,laking tulong 1st time namin pumunta dun. tatanong ko lang sana kung saan ang murang accomodation? my transient ba dun? if hotel san convinient mgstay for 3days?thank you and God bless! @ explorer. Sir, pkibasa nyo po ang separate post na tinalakay ko ang mga iba ibang matutuluyan sa Cebu City. May nasulat po ako dun na very affordable hotel. 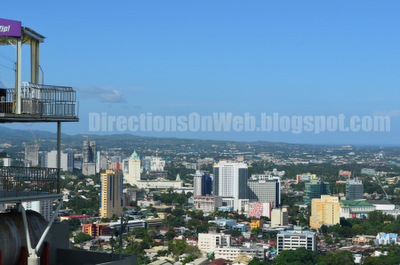 Punta po kyo dito: Where To Stay In Cebu City. hi! so excited for my cebu trip this weekend...our flight back to manila is at 5am..is it safe to visit mactan shrine at midnight until 3am? @ anniedemesa. I don't recommend it. It's notoriously dangerous to go there during the time period you have mentioned. Talked to jeepney drivers, talked to locals there. And they were the ones who warned me. So please, don't do it. @ Sayeen. You are welcome. Enjoy your trip to Cebu. Thank you as well. Hi. This is such a very informative blog. Thank you... If I may ask, how do you get back to the city from the Taoist Temple if you don't have a car or taxi waiting? Are there habal-habal to take you back from the temple? @ cheslei. Thank you as well. Yes, habal-habal has terminal outside the gate of Beverly Hills. Plenty of them and they'll offer a ride as soon as they see you coming out of the exclusive village. Hands down for the effort. Thank you so much for this! Glad to find a blog like this as I have been searching tips on how to get to certain places in Cebu as well as where to eat especially for a solo-traveller like me. I will be there in CEB on May 19 via 5J to join a running event in La Independencia and of course to visit my former colleagues and a very special friend. Great job here Lagalag. I will read more as this is very helpful! Thank you so much, sir, for the compliment. I hope you had a great time in Cebu. WOW! You have a awesome experience.you share a such a nice information about cebu.It's great help for travellers.It's give a idea to visit like this place.thanks for sharing. I'm looking for house and lot in cebu please hellp me we are going to live here yes!!! Wow! This is amazing. This blog is amazing.